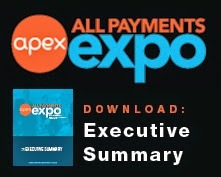 The dates for Prepaid Expo 2012 have been finalized –we’re heading back to Las Vegas from March 12-14, and this time we’ll be at the Mandalay Bay Resort! The Prepaid Expo team has been working hard over the summer to put together an agenda for the 2012 event that helps address the challenges a growing business like yours is facing - issues such as increased competition, lower profit margins, regulatory scrutiny and market consolidation. 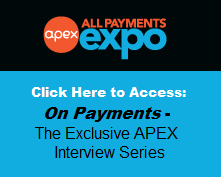 In addition to the dozens of sessions focusing on prepaid industry specifics such as mobile payments and compliance issues, we’ve also lined up a series of Guru Speakers aimed at inspiring you and providing you with valuable lessons learned to apply to your business. These Gurus are legends of their field, and will offer insight from their own experiences to help guide you through these growing pains. We hope you’re as excited as we are about this amazing line-up of Guru speakers - it’s something that’s never been offered before at the Prepaid Expo. If you’re looking for more information about the 2012 expo, please visit our website at www.prepaidexpousa.com. And don’t forget, you have until October 21st to save up to $700 on your registration! Valerie M. Russo is a Senior Social Media Strategist at IIR USA with a technology, anthropology, marketing and publishing business acumen. She is a published poet and also maintains a literary blog. She may be reached at vrusso@iirusa.com. Follow her@Literanista. You can meet her and the rest of Prepaid Expo Team in person at Prepaid Expo USA 2012.